Each year thousands of young students graduate from hundreds of institutes to start a professional life. Most of them are not even aware of what actually it needs to start a successful career. Below are some tips following which one can have an idea on how to go about career path. By the time you graduate, you might have made your mind regarding your career choice. The problem lies where one is not certain of the field/industry he/she wants to step into. In that case a career counsel’s advice must be sought instead of hitting and trying and losing in the end. 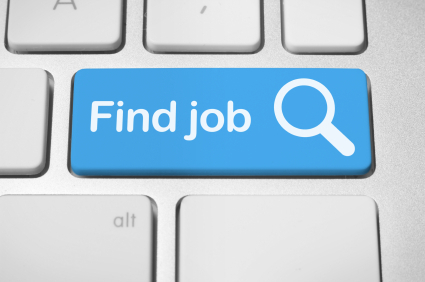 Ever wondered, why they call it the most crucial factor of your job hunt? The answer is simple; your resume is the sales pitch that you’d be using to “sell” yourself for a particular role. This world is all about selling and purchasing, so better the sales pitch, better are the chances of you being “sold at a good price”. What a resume must contain? Well, some say put in as much information as you can, but in my view, putting too much information could cause recruiter/employer lose interest in you and just end your resume up in the junk. 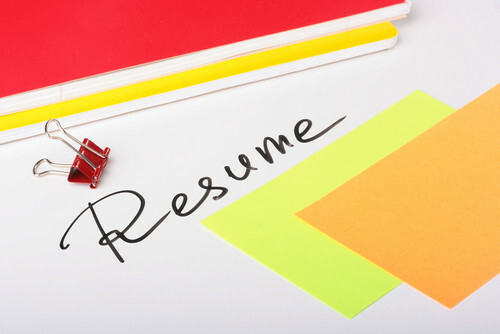 Most recruiters/employers take just 10-15 seconds to decide for a resume to be considered. So, only relevant and most important information must be provided in your resume. Save the rest for the interview. Like all operations we once performed with hassle are now could be done with ease, job search has also been made easy; thanks to increased reach of mediums carrying Job ads. Evolution of e-Recruitment has made is times easier for Jobseekers to search and find the relevant jobs in their fields. With just a few mouse clicks, your resume could reach the company of your choice. Similarly, you are now more reachable for employers; thanks to social recruiting. Ease of hunting and applying for jobs does not give you a license to bombard employers’ inboxes with your resume. You must never apply for jobs you are not suitable for or you might end up black listed as spammer and doors of e-hiring could close permanently before even being opened. An interview call is just the half work done. An impressive interview is what you need to land on your dream job. Up until now, you’ve made an impression you may call it virtually, now is the time to make it “real”. How you prepare for the interview? Having a full command on your area is not what is expected from you, you are a fresher and employers know that. However, a grasp on what you’ve studied is important. It goes without saying; prepare academically. Common sense, general knowledge, some knowledge of surroundings would be a definite plus. How to dress for an interview? Dressing appropriately for interview is as important as it could be. Choose your dress wisely considering the job you are appearing an interview for. A perfectly ironed trouser and a crisp shirt with fine shoes is usually considered good, but again do not ignore the position and responsibilities coming along with your prospective job. Dressing casually for an interview is a big NO. Similarly do no overdo with your attire and how you carry it. So here is the big day and here you are; ready for what would be officially your first step in professional life. You have the knowledge; you are prepared for it like anything; now do not spoil all by making small mistakes on interview day. Reach the interview venue well in time. Being late halves your chances of a fruitful interview. On your call, proceed to the room where interviews are being conducted. Knock politely and ask for permission to enter. Give a warm handshake to your panel/individual interviewer, if they are at an approachable distance; don’t cause hustle in the room by trying approaching those who are far; don’t crack bones, just a little warmth will do. Sit confidently, alert, with a little smile on your face. Wait for the questions you’ve prepared all the answers for. Answer gently, confidently and truthfully. Do not lie for the questions you don’t know the answers. The moment you lie, you are “dead”. If time allows, provide all the information that you kept from sharing in your resume. Your achievements, goals, ambitions and expectations are now to be highlighted and shared. If all goes well and it reaches to salary negotiations, don’t be shy or greedy while discussing it. Asking your “right price” is your right. After the interview concludes, make a warm handshake with the interviewer and leave the room with calm and positive attitude. Rushing to leave or panic shows nervousness and that is not desired for a potential candidate. This entry was posted in Articles, College Grads, Interviewing, Job Search, Jobseekers and tagged CV Tips, Fresh Jobs, Freshers, Interview Tips, Job Posting, Jobs in Islamabad, Jobs in Karachi, Jobs in Lahore, Jobs in Pakistan and Middle East, Online Hiring on July 12, 2013 by waheed.